﻿ John J. Tigert, president of the University of Florida, stands at the east entrance to Newell Hall. John J. Tigert, president of the University of Florida, stands at the east entrance to Newell Hall. 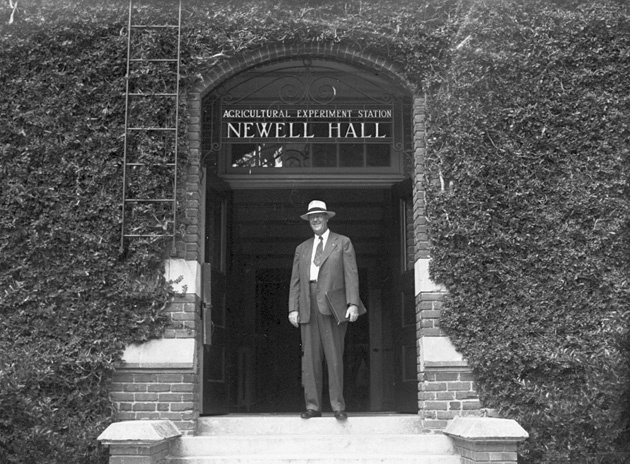 John J.Tigert, president of the University of Florida, stands at entrance to Newell Hall. See also UAPC 7227. Photograph 7237 from the University Archives Photograph Collection.